 Hedges Insurance is an insurance agency in Lynchburg Virginia. We service Lynchburg, and the entire state of Virginia! At Hedges Insurance, we offer a wide range of insurance options to fit your needs. As your Independent Agent we offer choice, provide a high level of service and are local to your community. We cover standard, specialty vehicles and more. Whether you have a standard auto, classic or specialty vehicle, motorcycle, boat, or recreational vehicle, we are here to help you choose the right insurance coverage. Protecting your home and more. Your home is one of your most valuable assets, it needs to be protected properly. Our Commercial and Business policies are easily structured to fit the needs of your business. Comprehensive coverage for your belongings. We put together a comprehensive package with your specific needs in mind. Providing for your loved ones the best way possible. By accessing strong, stable companies, we put your mind at ease. We love talking with people about the best insurance solutions for their unique needs. Contact us today to see if we can provide better coverage for you or save you money on your insurance policy.